Studies of noise-exposed populations clearly indicate that time spent working in noisy workplaces may lead to Noise-Induced Hearing Loss (NIHL). According to Basner et al (2013) NIHL can be caused by sound pressure levels higher than 75 to 85 dBA in industrial settings. It’s the combination of sound pressure levels and exposure time, however, that is critical in most cases. Data on the impact of hearing loss varies from one region to another; however, in the USA it has been estimated that over 11% of the total workforce reports varying degrees of hearing difficulty. Of the reported hearing difficulties, approximately 25% can be attributed to workplace exposure (Tak and Calvert, 2008). A 2013 US study concluded that circa 18% of noise-exposed workers have material hearing impairment (Masterson et al, 2014) as deﬁned by the National Institute for Occupational Safety and Health (NIOSH, 1998) criterion. Furthermore, an international review of NIHL concluded that occupational noise exposure causes between 7% and 21% of the hearing loss among workers (Lie et al, 2016). In most jurisdictions noise levels are averaged during surveys using a metric known as the Equivalent Continuous Sound Pressure Level (Leq). The Leq value describes an equivalent steady noise level, i.e., the unfluctuating noise level at each measurement position that would have an equivalent energy level to the actual fluctuating noise over the duration of the sampling interval. Leq is always an ‘equal energy measure’ corresponding to the 3 dB exchange rate, never to any other exchange rate (Marsh and Richings, 1998). 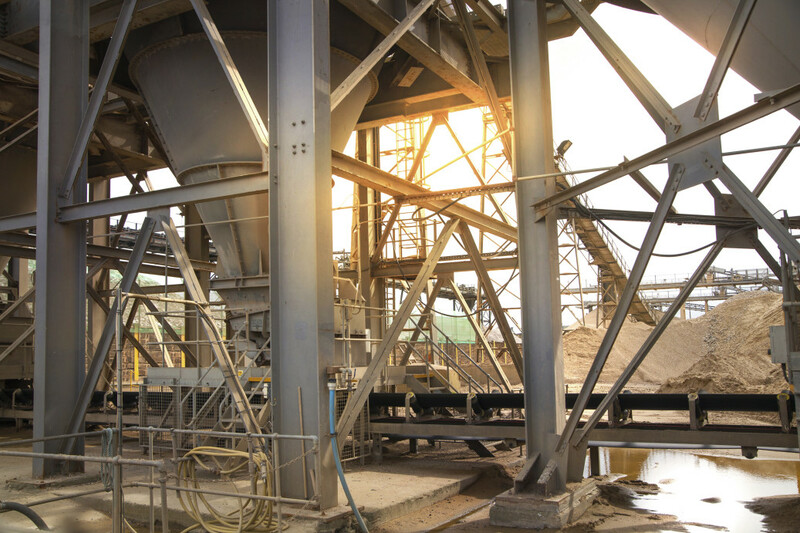 In the USA, however, OSHA prescribes the use of a Time Weighted Average (TWA) noise exposure and in order to measure this an LAvg noise index is used. In the USA LAvg is specified in Occupational Safety and Health Administration (OSHA) legislation and it is defined as ‘the average sound level over the measurement period’ and normally a Threshold Value is used during the calculation of LAvg where any levels below the Threshold Value are not included (OSHA, 2016). With some noise monitoring instrumentation, results in terms of both LAvg and LAeq are given. The International Organization for Standardization (ISO) Standard 1999 (ISO, 2013) defines the index referred to as the noise exposure level normalised to a nominal 8-hour working day, which is designated LEX, 8h. In simple terms, the LEX, 8h is a measure of the average noise energy a person is exposed to during a working day. It is determined by the average noise level and the amount of exposure time accumulated (A-weighted sound energy) during the working day. The following paragraphs look at the critical differences between European and USA legislation. In the EU, wide-ranging legal obligations arise when the LEX, 8h of any employee exceeds 80 dBA (this is known as the Lower Exposure Action Value (LEAV). More onerous obligations arise in the EU when an employee’s LEX, 8h exceeds 85 dBA, which is known as the Upper Exposure Action Value (UEAV). Under current Occupational Safety and Health Administration (OSHA, 2003) regulations, workers are not permitted to be exposed to an 8-hour time-weighted average (TWA) equal to or greater than 90 dBA. In effect this appears to be equivalent to an LEX, 8h of 90 dBA. To put this into context, however, at LEX, 8h levels of 90 dB one fifth of all workers will become ‘socially handicapped’ by the time they retire (Robinson, 1987). The higher the noise exposure, the greater the likelihood and severity of damage. While OSHA regulations require employers to implement a Hearing Conservation Programme if workers are exposed to levels higher than an 8-hour TWA of 85 dBA, there is a very important difference between EU and USA assessment methodology. This is because OSHA uses a 5 dB exchange rate, meaning the noise energy doubles with each additional 5 dB. The exchange rate which is predominantly used worldwide (and the one recommended by NIOSH, 2016) is 3 dB. This means that workers in the US can be exposed to much higher levels of noise for much longer than their European counterparts. In the USA the principal regulations concerning occupational noise in the manufacturing, utilities and service sectors (CFR 1910.95) provide for a Permissible Exposure Level of 90 dBA. In contrast to this, EU legislative requirements are markedly more stringent with extensive controls and obligations arising at 80 dBA (the LEAV). Throughout the EU, employers are compelled to introduce Hearing Conservation Programmes when the LEX, 8h exceeds 80 dBA (the Lower Exposure Action Value) and this requirement does not apply in the USA until the 8-hour TWA exceeds 85 dBA. EU employers are compelled to reduce the exposure of workers as far as is reasonably practicable by means of technical and/or organisational measures when the LEX, 8h exceeds 85 dBA (Directive 2003/10/EC). This is obviously more onerous than the US requirement that feasible administrative or engineering controls must be initiated when the TWA exceeds 90 dBA (CFR 1910.95). Furthermore, when considering the need for engineering or administrative controls, only those exposures to sound levels greater than 90 dBA are used in the USA calculation. It is therefore clearly evident that EU noise control criteria are more protective of workers’ hearing. There is universal consensus that the extent of hearing damage in exposed populations is directly proportional to the degree of exposure. While questions and controversies continue about the precise relationship between exposure and hearing loss, exposure for 15 minutes per day at an average noise level of 115 dBA would be determined to give rise to an LEX, 8h of 100 dBA (using European and ISO criteria). This would apply, as a matter of fact, throughout most jurisdictions, based on the predominantly espoused 3 dB exchange rate as specified by the ISO and most international authorities. Thus, this daily level of exposure (115 dBA for 15 minutes) although legally permissible in the USA is 20 dB higher than that which is deemed to be hazardous in Europe. Therefore, it is evident that the European occupational assessment methodologies are irrefutably more protective of workers’ hearing than those in the USA. In fact, this has resulted in a wide range of US agencies advocating for change and enforcement of stricter controls. Because OSHA legislation continues to use an exchange rate (and consequently a set of statutory controls) which have been established to be overly lax, it follows that a significant deficit has arisen between the risk of NIHL and the enforcement regime which currently applies in the USA. In an authoritative review of the risk of NIHL, Prince et al (1997) concluded that based on current exposure levels, approximately 25% of US workers will develop permanent hearing loss. Given that the 50th anniversary of the first federally mandated US legislation (Walsh-Healey Public Contracts Act, 1969) for hearing conservation is approaching, it is difficult to understand the complacency. The preventive potential of reducing noise exposure has led to mandatory hearing loss prevention programmes in many countries. However, the reportedly continuing high rate of occupational noise induced hearing loss casts doubt upon the effectiveness of these standards or people’s compliance with them (Verbeek et al, 2012). Directive 89/391/EEC on the introduction of measures to encourage improvements in the health and safety of workers (referred to as the Framework Directive) provides a well-defined hierarchy for implementing workplace preventative measures, with risk avoidance taking uppermost priority. Thus, the cornerstone of the EU’s legislation emphasises the need to eliminate risk. Furthermore, the 1989 Machinery Directive and subsequent amendments (89/392/EEC and 2006/42/EC) have ensured that since 1993 most machinery supplied in the EU has fulfilled essential health and safety requirements. The Machinery Directive sets out procedures and standards that manufacturers must conform to and only conforming machinery is permitted to carry the CE mark. The provisions are designed to ensure that the accidents and injuries caused by the use of machinery can be reduced. The EU emphasis, therefore, is on inherently safe design and construction of machinery and on proper installation and maintenance. This works in harmony with the Physical Agents (Noise) Directive with the latter providing a commercial incentive for equipment designers and manufacturers to produce quieter or ‘silenced’ alternatives. According to Lang and Maling (2007) noise-emission requirements in manufacturing facilities are more stringent in the EU than in the United States. They also state that the challenge to the United States is to develop an effective national noise control policy that covers products from conception to implementation. 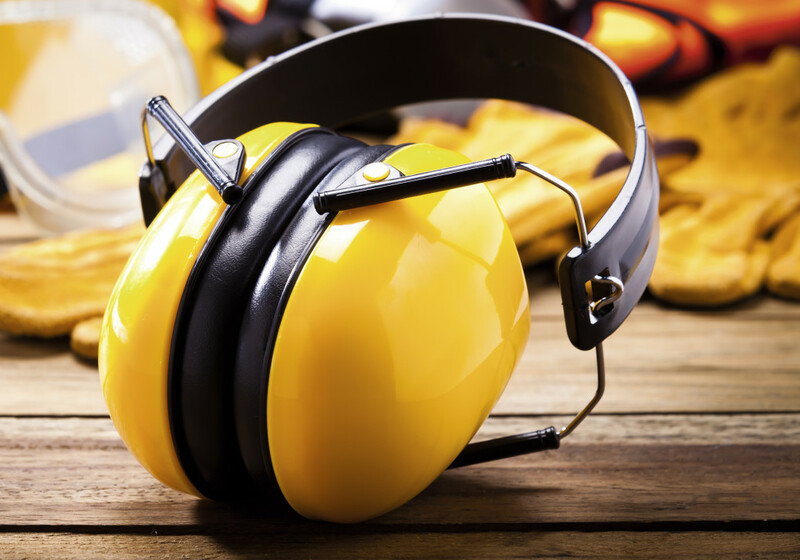 “Allows employers to rely on personal protective equipment and a hearing conservation programme, rather than engineering and/or administrative controls, when hearing protectors will effectively attenuate the noise to which employees are exposed to acceptable levels... Hearing protectors which offer the greatest attenuation may reliably be used to protect employees when their exposure levels border on 100 dBA” (OSHA, 2016b). This permitted reliance on hearing protection appears particularly ill-advised given the almost overwhelming evidence of its shortfalls in protecting workers’ hearing. Hearing protection devices (HPDs) are often regarded as the last line of defence and as a control mechanism their success is impeded by many factors. Researchers worldwide have identified the selection and fitting of HPD to be limiting factors and many studies have concluded that the most common reason for failing to wear protection was discomfort. In the USA Lusk (2002) reported that workers inconsistently use protectors when exposed to high noise levels, with compliance ranging from 18% to 77% and Daniell et al (2005) found that only 62% of interviewed employees said they always (or almost always) used hearing protection when they were exposed to loud noise. Their findings are broadly comparable to those of other researchers, although the proportions change from one survey to the next. Morata et al (2001) concluded that 64% of a sample of significantly exposed workers indicated that they wore hearing protectors, but only 20% stated that they wore the device all the time when noise exposed. Interestingly, Rabinowitz et al (2007) in a 10-year study of hearing loss rates amongst 6,217 employees, concluded that the greatest burden of preventable occupational hearing loss was found in workers whose noise exposure averaged 85 dBA or less. This may be due to the success of the companies’ Hearing Conservation Programme (requiring the use of protectors at levels above 85 dB) but it serves to highlight that US workers with exposures below 85 dBA are vulnerable and that they continue to suffer NIHL. Neitzel et al (2014) highlighted one of the key weaknesses of Hearing Conservation Programmes (HCPs) even where relatively good hearing protection practices prevail. They state that most HCPs utilise lagging indicators of program performance, such as trends in audiometric test results, and will therefore always be reactive in nature. By the time a trend in hearing loss is identiﬁed, irreversible damage to workers’ hearing has already occurred. In a separate publication that year, Groenewold et al (2014) concluded that, as currently practiced, the use of hearing protectors is inadequate. Furthermore, they stated that hearing protection is not currently working as an effective substitute for noise control. Their ﬁndings emphasise the importance of eliminating hazardous noise exposure in the workplace rather than relying on the use of hearing protectors. 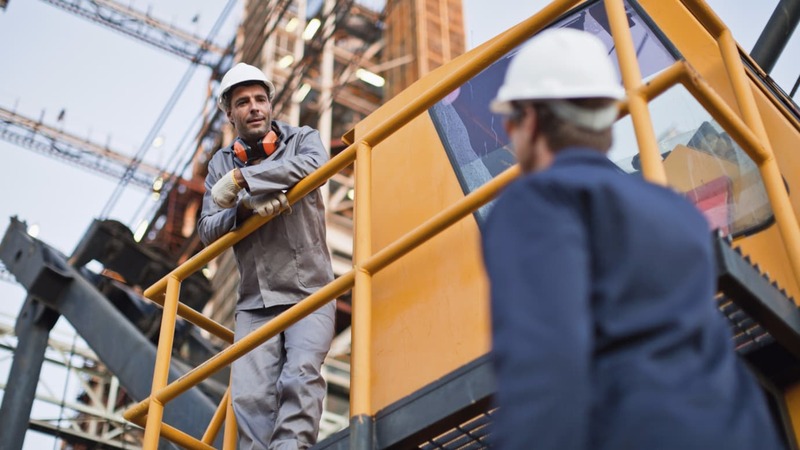 Despite their limitations, hearing protection devices can provide a potentially effective and reliable means of protecting workers’ hearing. For any HPD to be effective, regard must be had to numerous factors, including: the potential attenuation of the HPD, the actual exposure conditions (intensity and frequency of noise), correctness of fit, duration of use, ease of use, and user acceptability. Despite this, decisions on selecting and purchasing HPDs are generally based on two key criteria – unit cost and noise reduction rating (NRR). The octave-band method of calculating attenuation in a workplace theoretically provides the most accurate estimate of the sound level under the HPD. This is because the calculation includes both the laboratory estimated attenuation of the device and the actual spectrum and level of the noise in which it will be worn. The ISO describes two additional methods to estimate HPD performance in ISO Standard 4869-2 (ISO, 1995). Described as the HML method and SNR method, these are regarded as simplified procedures, while the octave-band method is described as an exact reference method. Regardless of what methods are used to determine the overall attenuation, it is important to note that the actual attenuation provided in the workplace is substantially less than that measured in a laboratory. Laboratory measurement reflects the maximum attenuation that can be expected with a device under the most favourable conditions, e.g. the device is new and in good condition, available in the correct size and is properly fitted and worn under ideal circumstances. In reality many of the conditions of the laboratory test which are essential to obtain optimum performance are not achievable in the workplace. This is partly because of the emphasis in some laboratory testing in determining the maximum attenuation for very short time periods (five to 10 minutes), while totally disregarding the comfort of the subjects during the fitting of the protectors. In practice, an individual’s noise exposure can be substantially underestimated when it is computed from laboratory attenuation data. For this reason, it is recommended that the performance of the protectors is penalised by 4 dB to account for real world performance, i.e., the noise level at the ear as computed using ISO Standard 4869-2, should in each instance have a real world factor of +4 dBA applied. For the vast majority of applications, this 4 dB ‘penalty’ will not be problematical and most hearing protectors are likely to provide a degree of overprotection. Furthermore, caution should be exercised to avoid the selection of protectors which provide unnecessarily high attenuation. Such devices can cause communication difficulties and they have the potential to be less comfortable than protectors with lower attenuation. These critical factors (along with regulatory inertia and risk perception) are major barriers to the adoption of pragmatic and effective hearing protection practices and workers worldwide appear to be reluctant to wear HPDs. In the vast majority of cases, noise levels in workplaces will involve ambient noise levels below 95 dBA. Because of this, the fit and comfort of hearing devices as well as their practicality of use contribute more to their potential effectiveness than does their published attenuation capability. While some exposure scenarios will require a highly rated HPD, many commonly used HPDs will potentially provide a degree of ‘over-protection’. In theory, we should generally aim for an attenuated daily personal exposure level of approximately 75 dBA at the ear. This is merely a guideline, however, and once employees can hear all necessary alarms and warning signals, the key factors to consider are the comfort of the HPD and the likelihood that it is worn whenever necessary. Often the importance of workers’ hearing is rarely appreciated until their occupational exposure diminishes it irreparably. Furthermore, in many cases the risk of hearing loss is poorly understood and for this reason occupational noise training should always be given the necessary attention it warrants. This training should form an essential element in the armoury required to address the prevalent risk perception issues within industry. Moreover, it should be rigorously pursued in fulfilment of the employers’ Duty of Care.